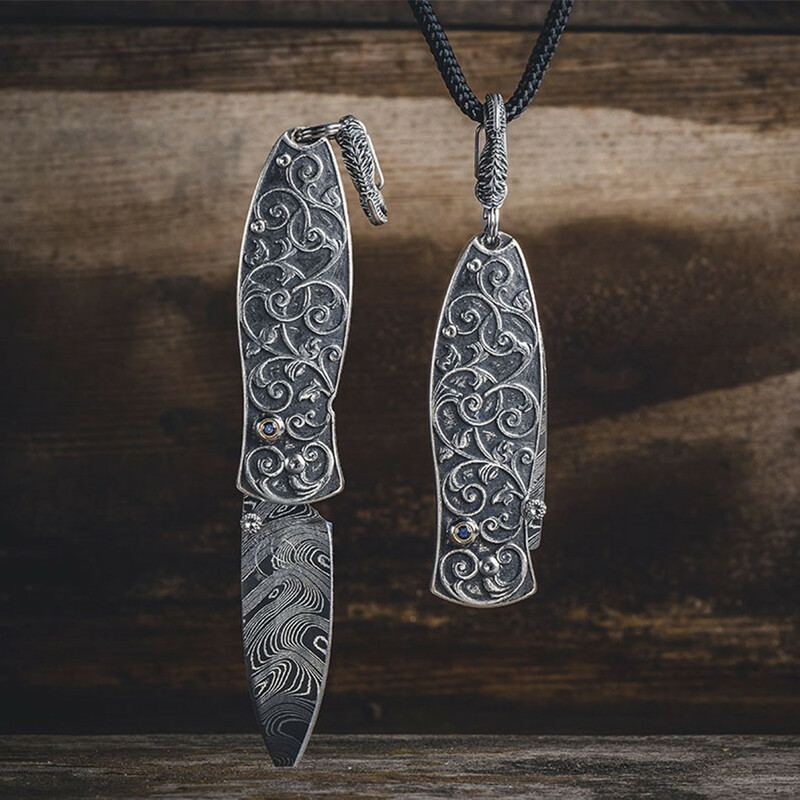 This finely cast sterling silver knife pendant from WIlliam Henry's Morpheus collection, has a vine-like scroll pattern. 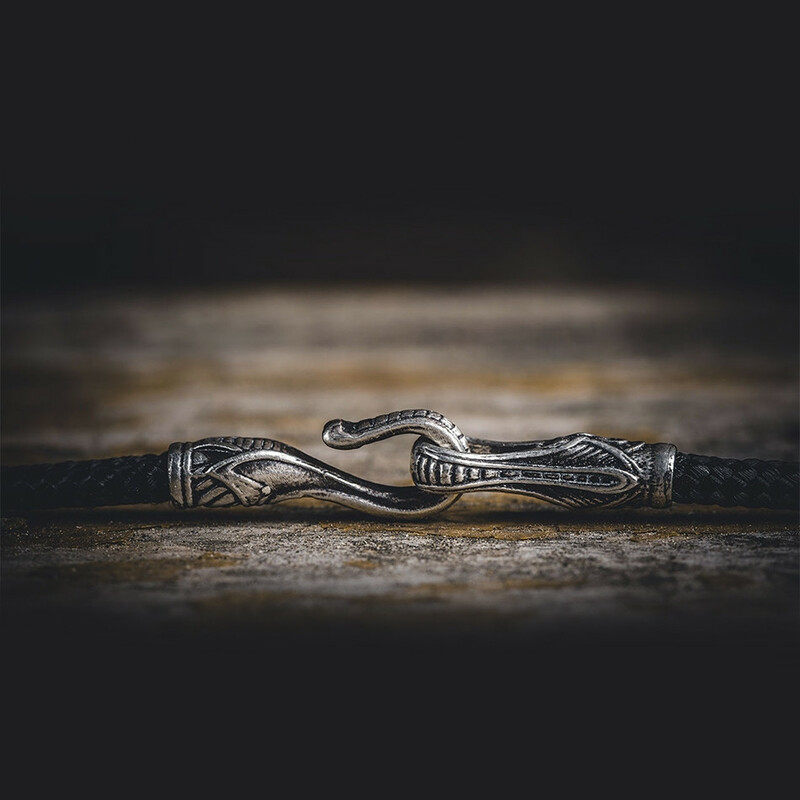 It features concealed blade of "Boomerang" Damascus steel with a design that's reminiscent of moving water. 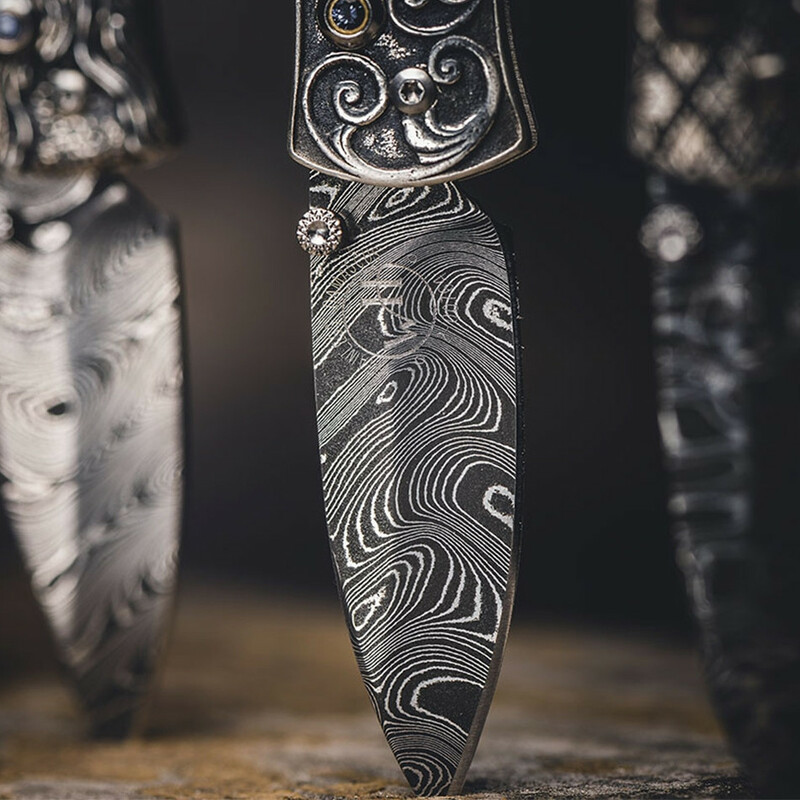 The blade locks securely, while open and closed, thanks to a button lock hidden by a sapphire gemstone. The tool is equipped with a precious metal quick release cap that enables you to take the knife off the cord or attach it to a keychain. This William Henry accessory is serviceable and stunning!